Hydrocodone is an addictive drug which produces withdrawal symptoms in the users after discontinuing the drug. 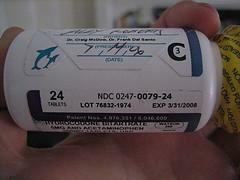 Hydrocodone belongs to a class of drugs called narcotics which are the part of the opioid family. Its strength is almost equal to that of morphine. Hydrocodone produces opiate-like effects. It helps to relieve mild to moderate pain plus creates calm, euphoric state of mind. This narcotic is highly addictive and its abuse is a growing crisis in the United States. When taken in high doses, hydrocodone dependence may develop within one to for weeks. When a person addicted to hydrocodone abruptly stops taking the drug the person starts experiencing withdrawal symptoms within about 6 to12 hours. Hydrocodone withdrawal symptoms are very unpleasant but not life-threatening. However, the intensity of these symptoms depend on the extent of addiction, duration of the drug abuse, the average amount taken per day as well as upon the individual abusing the drug. Duration of hydrocodone withdrawal symptoms also varies but approximately it lasts for about three weeks. An individual addicted to hydrocodone may experience symptoms of withdrawal within six hours of the last dose taken. In the following three to four days the symptoms of hydrocodone withdrawal get stronger and reach their peak. After that, severity of the withdrawal symptoms starts to gradually decline and disappear within three weeks. Hydrocodone withdrawal causes flu-like symptoms. While the drug is being eliminated from the body, an addicted person commonly experiences runny nose and watery eyes, excessive yawning, nausea, diarrhea, vomiting, stomach cramps and loss of appetite. Muscle aches and pains, dilated pupils, goose bumps occur too. Due to problem with temperature regulation in the body, the person experiences increased perspiration and body chills. Psychological symptoms that occur along with physical symptoms include anxiety, sleep disturbances, restlessness, irritability and depression. Intense feeling of craving for the drug is present too and may persist for a long time after the withdrawal process is over. To minimize the painful symptoms, hydrocodone addiction should be treated at rehab facilities. Withdrawal therapy or detoxification helps to get rid of dependence in a safe way by gradually decreasing dose of the drug. To alleviate the withdrawal symptoms the patients may be treated with methadone or buprenorphine. Aspirin, ibuprofen or acetaminophen may be prescribed to lower the pain and fever. Vomiting, diarrhea and nausea are managed with immodium. Benzodiazepines are given for anxiety and sleep disorders. How Long Should Klonopin Withdrawal Symptoms Last? Is oxycodone stronger than hydrocodone? how long narcotic withdrawls last?